Laura DeLuca Use code MSABONUS to get free bonus goodies with your first order. 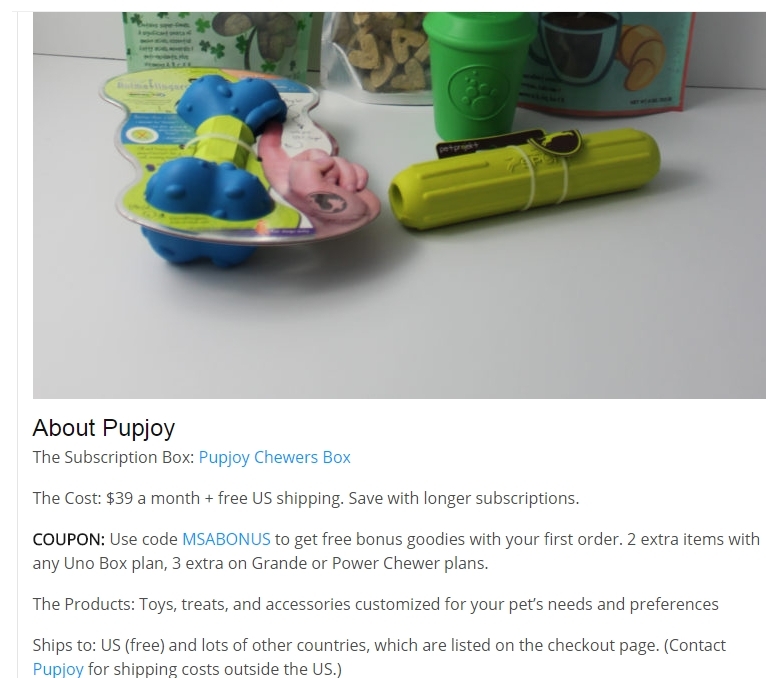 2 extra items with any Uno Box plan, 3 extra on Grande or Power Chewer plans. 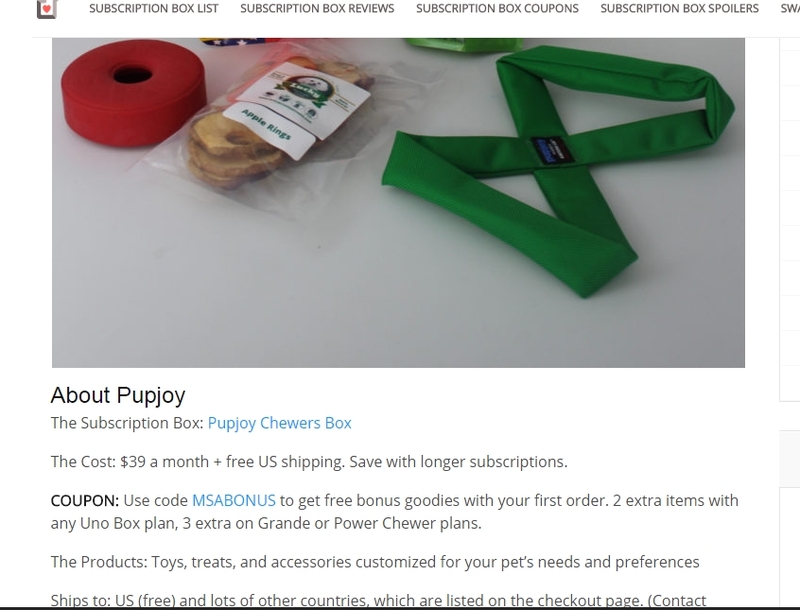 Laura DeLuca COUPON: Use code MSABONUS to get free bonus goodies with your first order. 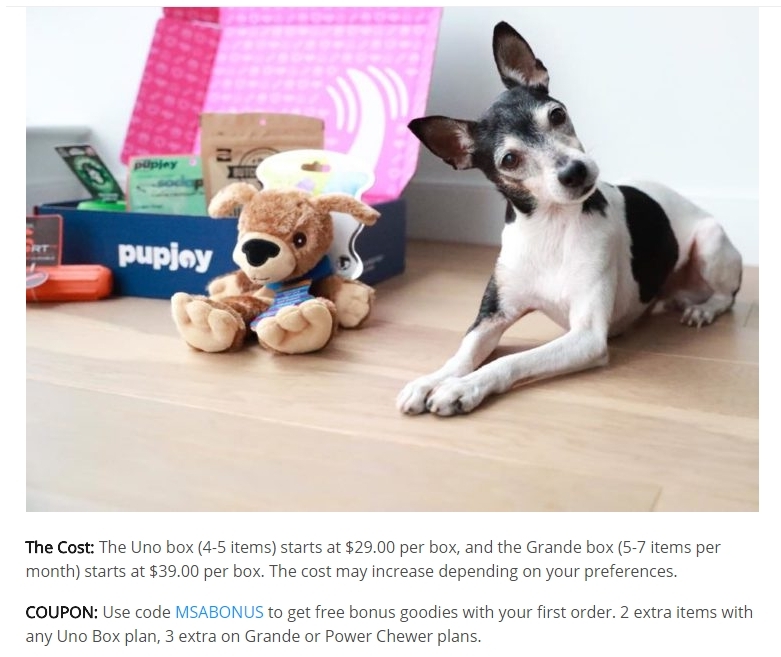 2 extra items with any Uno Box plan, 3 extra on Grande or Power Chewer plans.